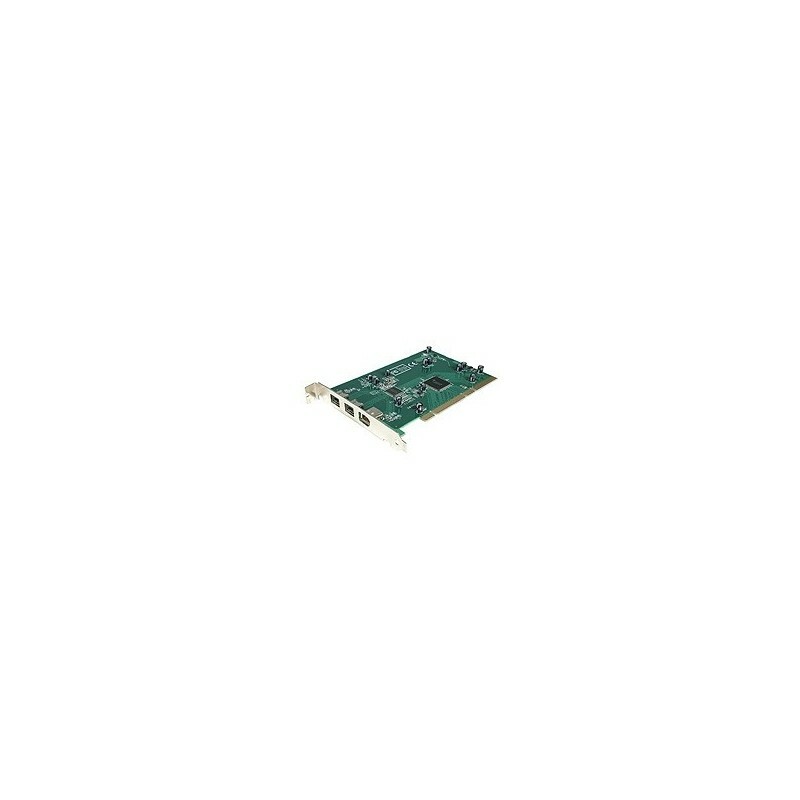 The PCI1394B_3 3-Port PCI FireWire Adapter Card turns a PCI slot into 2 FireWire 800 (IEEE 1394b) ports and 1 FireWire 400 (IEEE 1394a) port - a cost-effective solution that lets you connect FireWire 800 devices, as well as older FireWire 400 devices to your desktop computer. A versatile FireWire solution, the adapter card works in both 5v and 3.3v PCI slots and in 64-bit and 32-bit operating environments, making it easy to create a high-speed laptop digital media center, or connect demanding FireWire peripheral devices such as portable hard drives, DV camcorders, digital cameras and CD-RW/DVD-RW drives. This high quality adapter card is designed to provide reliable FireWire 800 and FireWire 400 connections, delivering 800 Mbps and 400 Mbps data transfer rates respectively (a 64-bit PCI slot is required to achieve 800 Mbps data transfer rates). The PCI1394B_3 is backed by a StarTech.com lifetime warranty and free lifetime technical support.